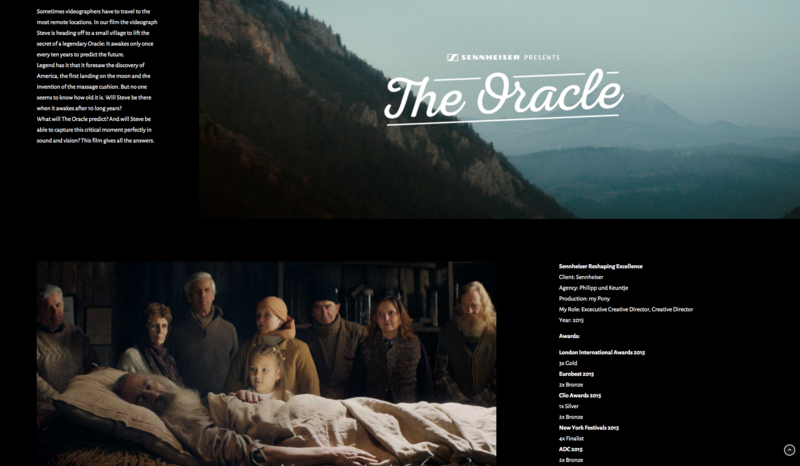 Our Sennheiser Film, the Oracle, has won 3x Gold at the London International Awards LIA. Sometimes videographers have to travel to the most remote locations. In our film the videograph Steve is heading off to a small village to lift the secret of a legendary Oracle: It awakes only once every ten years to predict the future. Legend has it that it foresaw the discovery of America, the first landing on the moon and the invention of the massage cushion. But no one seems to know how old it is. Will Steve be there when it awakes after 10 long years? What will The Oracle predict? And will Steve be able to capture this critical moment perfectly in sound and vision? This film gives all the answers and wins again! this times at the London Awards Festival 2015.